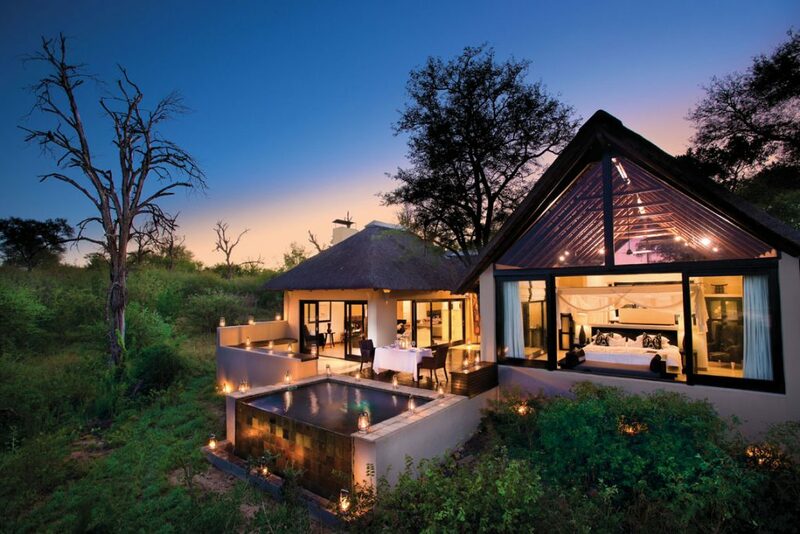 Ivory Lodge has always been the understated jewel in the Lion Sands Game Reserve crown; a place where guests are lost in the natural beauty and the breathtaking views over the Sabie River. With Mother Nature in mind the lodge is built ‘of the earth’, with natural materials which enhance the surrounding bush environment. 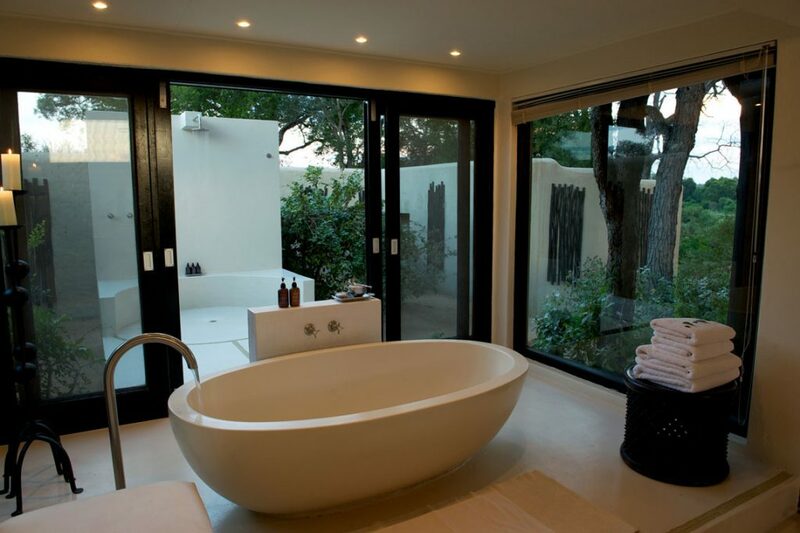 The timeless design incorporates steel, wood, thatch, glass, water and sand. 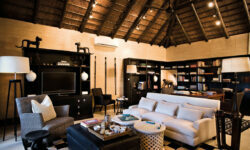 A sophisticated mid-century architectural contemporary theme defines the interiors, with bold furniture and edgy décor, ambient lighting, inferences of tribal design and highly textured finishes – all of which combine to make Lion Sands Ivory Lodge an utterly sensory experience. 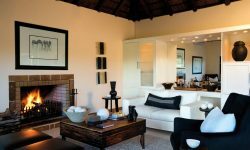 Ivory Lodge comprises of 8 Single Suites, and 1 Double-Suite Villa, all Suites occupy an elevated position overlooking the Sabie River. 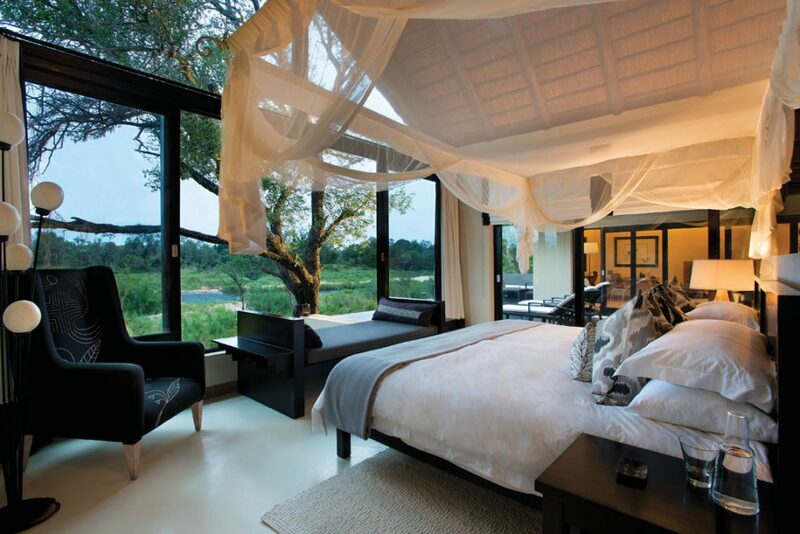 Lodge facilities include a lounge, dining and relaxation space, with an expansive wooden deck overlooking the Sabie River. A Wellness Centre incorporates a luxury spa and exercise facility. Each of the 8 Suites has been designed for privacy and optimum appreciation of the surrounding wilderness. Each Single Unit has a Master bedroom with bathroom en-suite, double volume wardrobe area, outdoor shower in an indigenous garden forest, private lounge area with fireplace, a private pool and expansive viewing deck, as well as a covered patio.